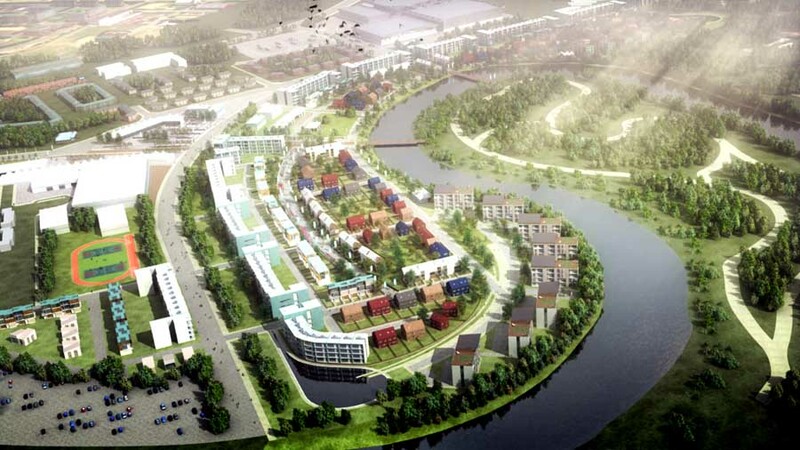 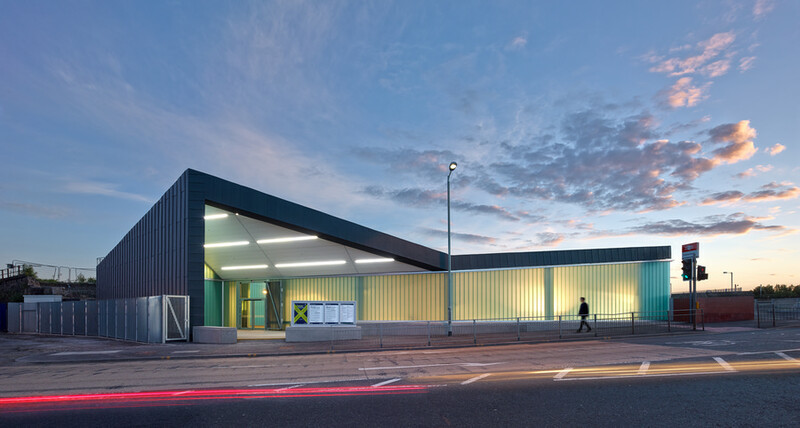 Dalmarnock Station has been re-invented to better serve the Commonwealth Games district in 2014 and form part of Clyde Gateway’s ongoing, long term transformation of Glasgow’s east end. 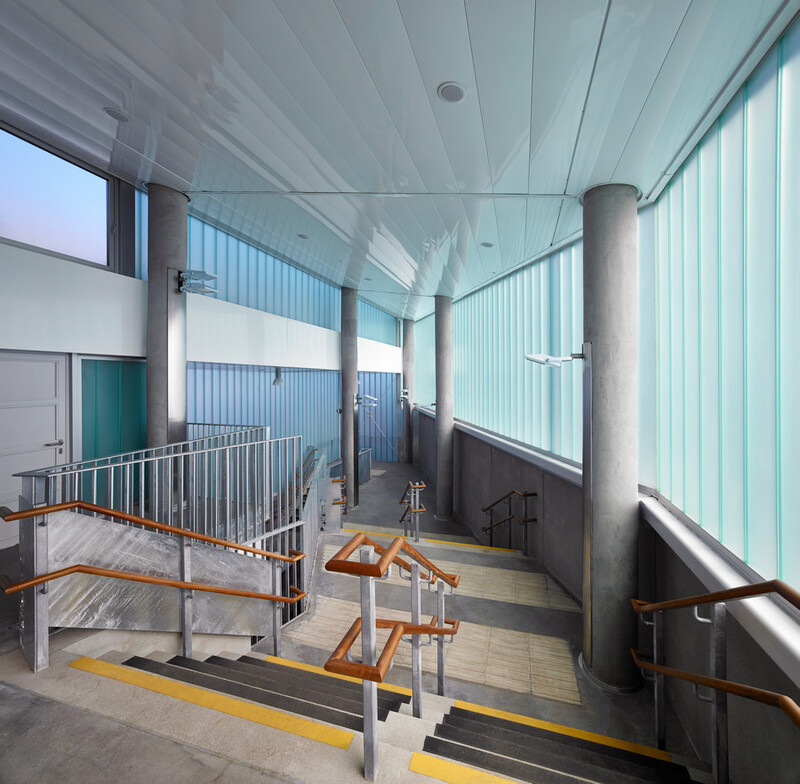 A new public entrance and ticket hall lead to 2 new stairways and an enhanced platform experience. 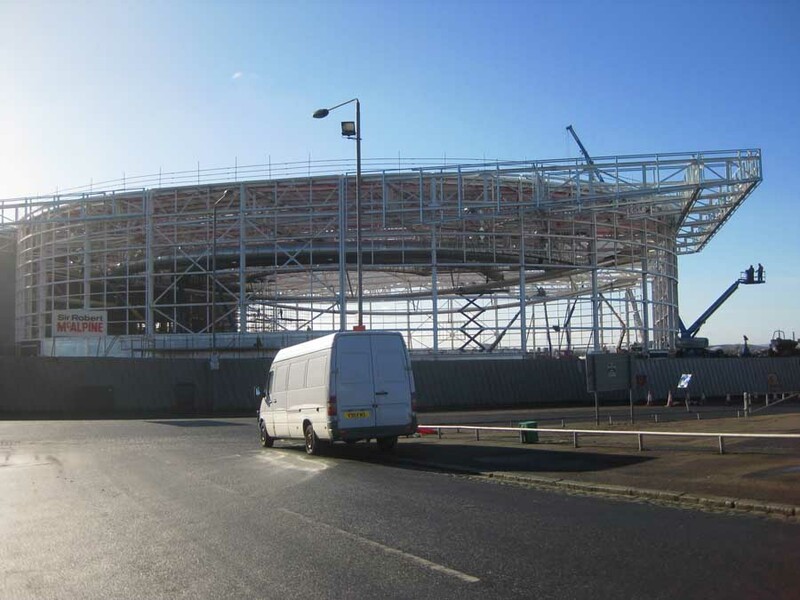 The client team include Network Rail, Glasgow City Council, Strathclyde Passenger Transport and Clyde Gateway with First Scotrail as train operator. 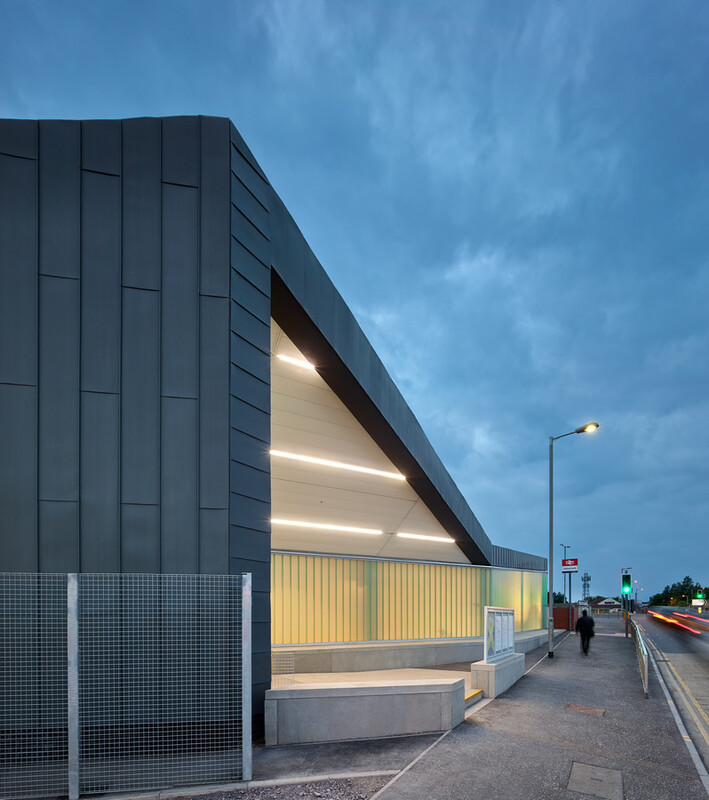 Our challenge has been to enhance the travelling experience within a new station that contributes positively to the wider architectural heritage of Dalmarnock. 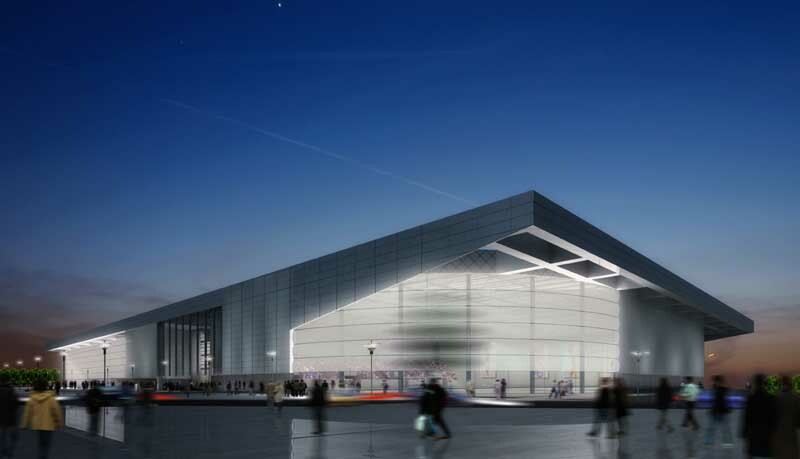 The design philosophy is intended to raise the passenger experience along with the overall quality of place making. 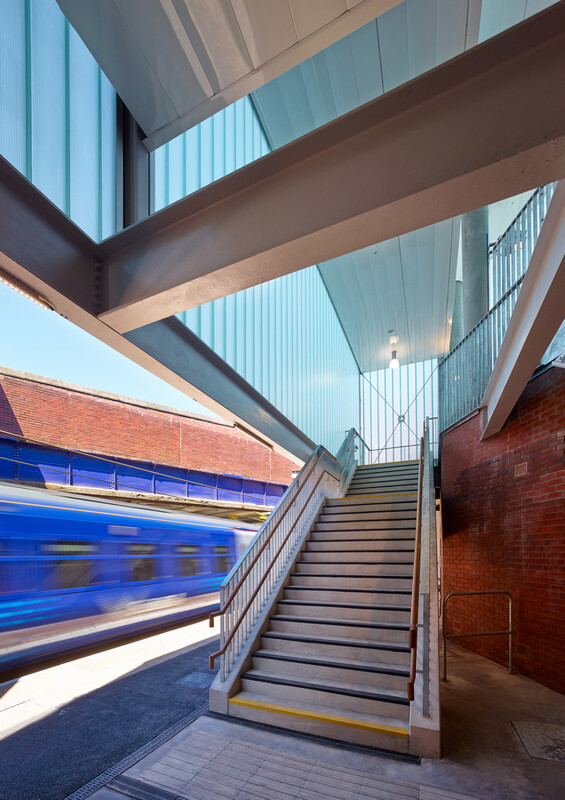 We have made a deliberate effort to design a dynamic sequence of spaces that inform and direct passengers through the station in a simple, elegant manner. 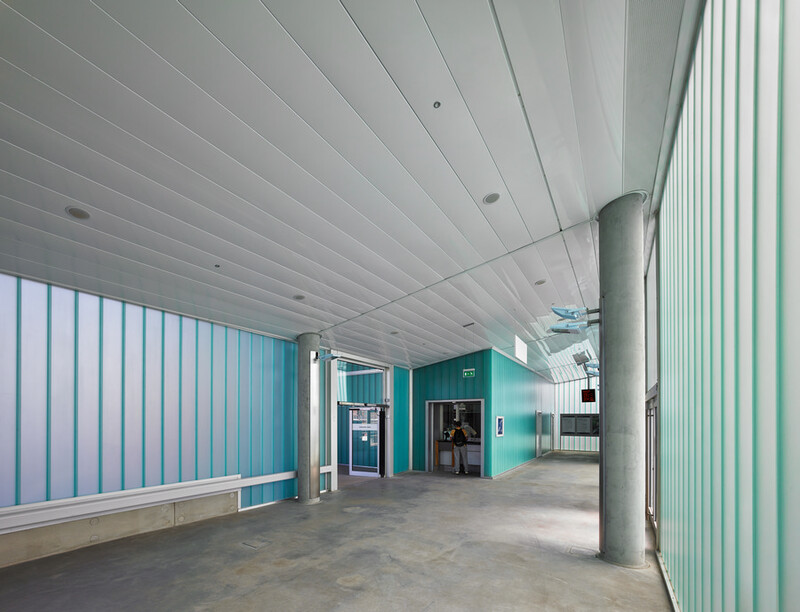 Transitions between high and low spaces form an identifiable route through the building from platform to street. 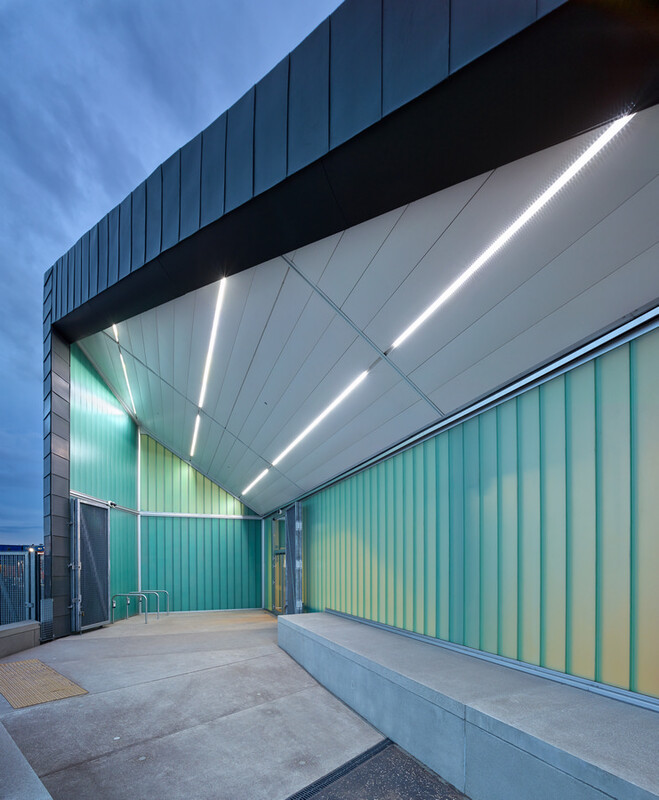 Internally, materials are an honest expression of galvanized steel and acid etched concrete in large format panels that describe the descent from street level to the platforms. 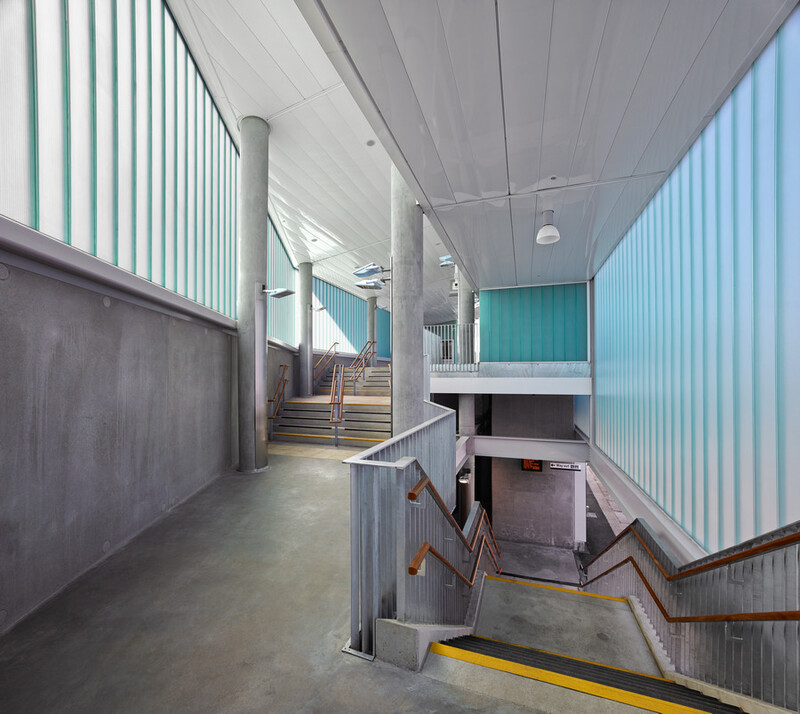 The stair and passageway construction has a monolithic presence as do the tall concrete structural columns containing lighting and communications fixtures. 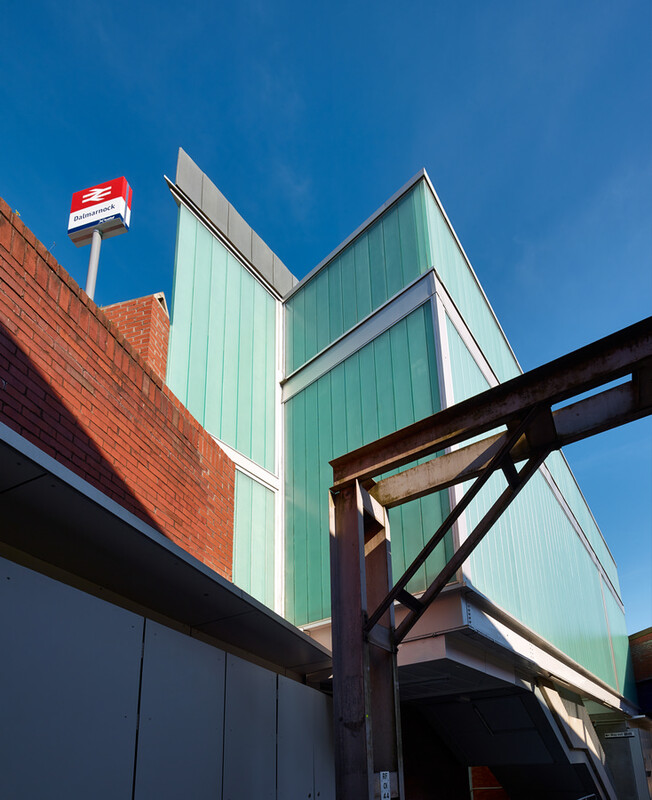 Externally a single skin of translucent, cast glass is used as a seamless surface, presenting a greater sense of scale to the outside world while striking considered relationships with the homogenous sandstone and brickwork of the original stations’ infrastructure. 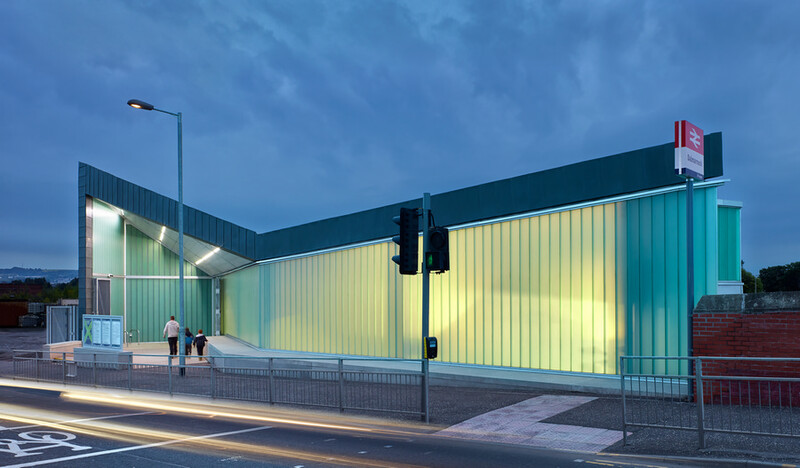 The outside skin maximises natural daylight within the interior and transforms at night to become an illuminated backdrop to Dalmarnock Road. 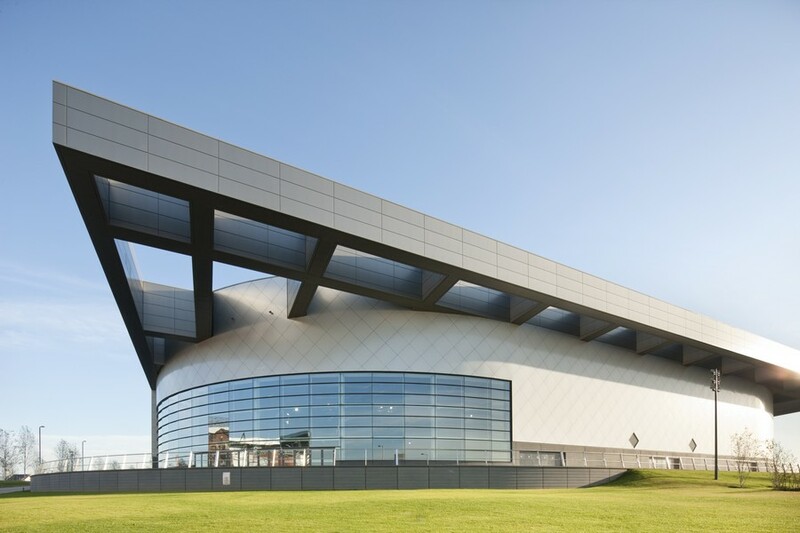 The parallel rail line geometries set out by the structure and facades are reinforced within the roofscape as a series of narrow folded planes capturing the stations built elements on both sides of the line in a form more able to communicate to the city. 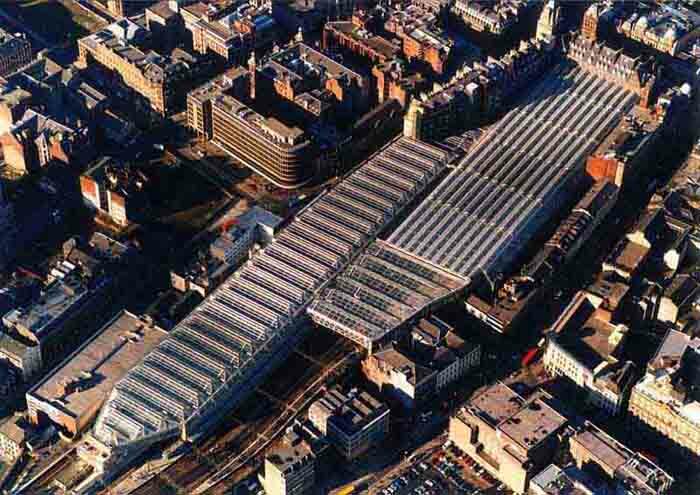 The roofscape is therefore conceived as a designed set of peaks and valleys that reinforce the themes of the station interior. 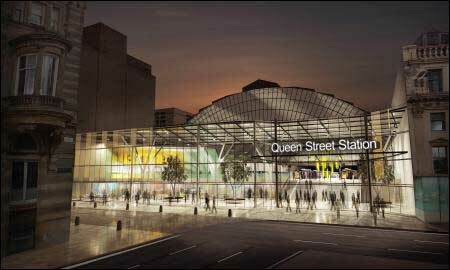 High fold lines suggest entrances and interfaces with the outside world whereas low fold lines suggest the internal worlds’ connection to the railway. 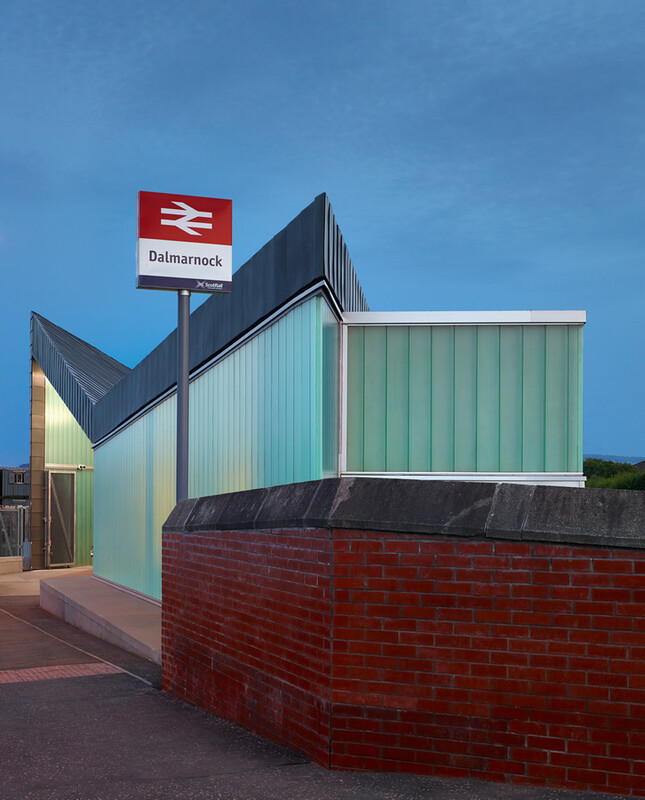 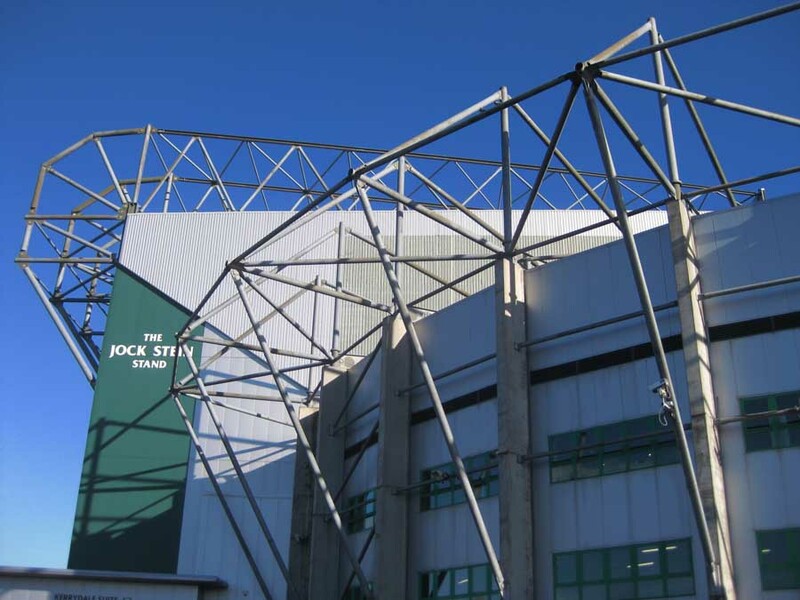 Designed to be ‘cut’ from a larger template, the roofscape is seen as a quiet memory of grander station architecture whilst being appropriate to the scale and form of Dalmarnock Station.